Successfully Added LEAGOO T8s Face ID Smartphone - 4GB RAM 32GB ROM, 5.5 Inch, Android 8.1,Octa Core, Dual Camera - Gold to your Shopping Cart. 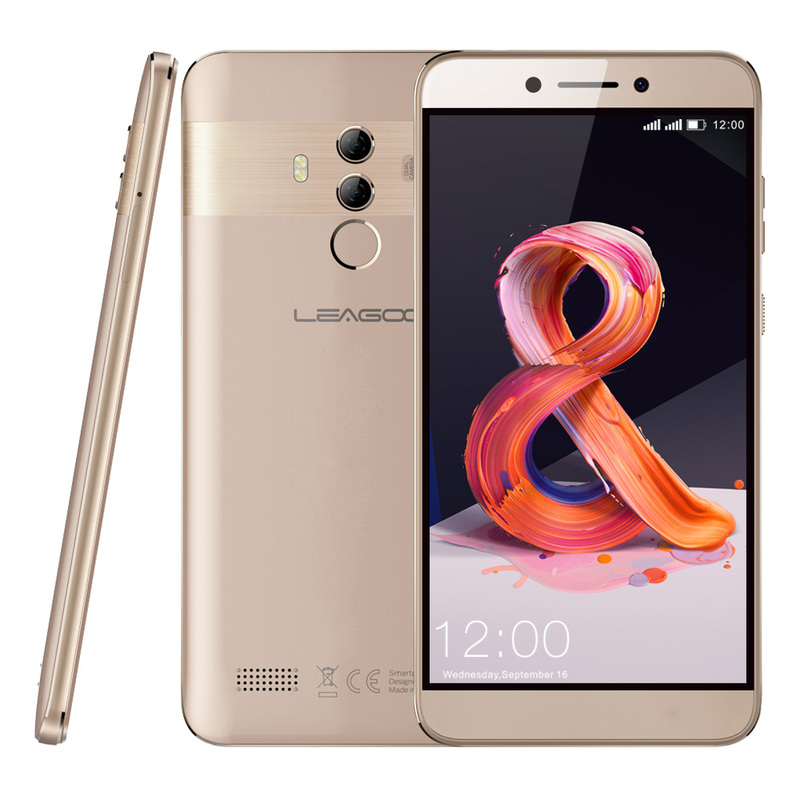 Latest Android 8.1 operating system and MT6750T octa-core processor, provide fast and stable performance. 13MP+2MP rear camera along with a 5MP front camera to capture your vivid moment and light up your beauty. 5.5-inch FHD IPS incell display, bring an excellent visual experience to you. 4GB RAM + 32GB ROM, combine with a 128GB expandable storage slot, give you enough space to store your video, image, game etc. Enjoy a true-to-life visual experience with the LEAGOO T8s on its 5.5-inch IPS display that not only provides a wider viewing angle but also delivers bright and brilliant color saturation and contrast. The LEAGOO T8s will impress you with its 1920*1080 resolution, let you have a highly immersive experience. Design with the advanced image sensor and mature software adjusting, the superb 13MP+2MP rear camera and 5MP front camera shine your selfies and capture every wonderful moment in your life, shoot bright and clear photos and videos. Running on a fast and stable MT6750T Octa-Core processor, LEAGOO T8s is able to simultaneously load and handle more data and apps without lag and consumes less power. Perfect for playing games and watching videos. Powered by a large capacity battery with 3080mAh, which features long standby time and talk time, enough to last a whole day use, let you enjoy the video and game journey without the trouble of charging.